A number of organisations have incentive schemes and other supportive initiatives. These vary to suit individual organisational needs. One example is to provide interest-free loans for up to £5000 to encourage the use of smaller motorcycles. The loan can contribute towards purchase and running costs and mutually benefit both the employer and the employee. The University offers staff an interest free loan of £1000 to acquire a motorcycle for commuting purposes. The University purchases the motorcycle and the employee repays the loan over a 12-month period. In 2012, on a second revision of its travel plan, GCHQ reviewed all its initiatives aimed to support staff that commute by motorcycle. The Plan makes several strategic recommendations including improving parking provision, providing a new drying room, increasing security and locker facilities, and publicising the interest-free loan scheme. ‘Wheels to Work’ (“W2W”) is an incentive scheme designed to provide transport solutions to those who experience barriers to education, training and employment because of poor public or private transport. The individual schemes can include loans of mopeds, scooters or bicycles, travel planning, advice or subsidised travel tickets. The concept was originally trialled in 2002 and, following its success, there are now around 35 W2W schemes operating throughout England. Most schemes specifically target young, unemployed people (16 – 25 years old) who have secured a job offer or work placement. However, other schemes extend eligibility to other age groups, job hunting activities and education opportunities. Typically, a W2W scheme will charge between £15-30 per week for a motorcycle. All schemes provide compulsory basic training (CBT), insurance and safety/protective equipment. Some offer assistance with licence applications. The loan of the motorcycle usually lasts until the person has succeeded in obtaining their own transport (on average around 6 months). 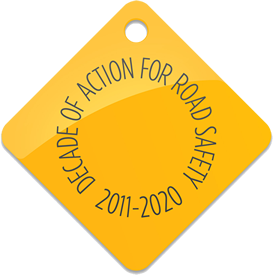 In 2012, with the support of Government funding, the Motorcycle Industry Association established the Wheels 2 Work Association as a national organisation to represent schemes around the country and to facilitate a national network. It aims to share best practice and assist with business modelling and procurement strategies. A ‘toolkit’ to assist local authorities in implementing a W2W scheme was produced by the Countryside Agency in 2002. This is currently being updated by the W2W Association. Local authorities can lead the way by adopting similar schemes for existing or potential employees. Many councils operate ‘Wheels to Work’ schemes such as Cornwall, Staffordshire, North Lincolnshire and East Riding of Yorkshire.